With over 15 years of diverse experience in financial services, Yannick is a single point of contact to high-net-worth families and their businesses to help preserve, protect and grow their financial assets, as well as to help ensure a successful transition to the next generation. Together, with a team of dedicated professionals, he works to advance the client experience by delivering personalized solutions designed to help meet their needs. From core banking and credit, through tailored investment management, all the way to medium-long term considerations like will & estate planning, Yannick is committed to making wealth management simplified and seamless. He also understands how difficult it may be to balance priorities. His business background and work experience give him a uniquely broad perspective to understand what services you need and when. 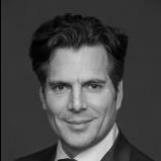 In the past, Yannick held the role of Vice-President, Business Development with TD Securities in Montreal. His interpersonal skills and strong business acumen have permitted him to become a highly-regarded professional within TD Bank Group. In addition to holding a Bachelor of Commerce degree from the Faculty of Management at McGill University, he holds Personal Financial Planner (PFP®) and Certified International Wealth Manager (CIWM) designations.